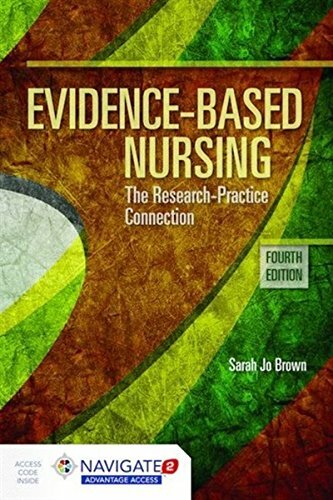 1284099431 -Evidence-Based Nursing: The Research-Practice Connection, Fourth Edition introduces students to research methods and evidence-based practice. The text helps students understand research methods, how to appraise and use research evidence in clinical decision-making, and how to fully understand and engage in evidence-based practice. By linking evidence-based practice to recent research in safety and quality programs, it provides timely information in both healthcare and nursing settings.